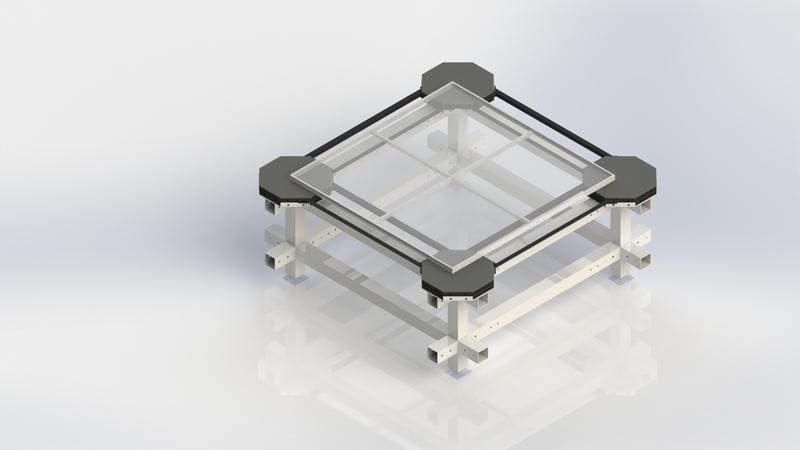 ISO-Stand™, Seismic Supports are heavy-duty, structural steel support frames, designed for use under critical IT equipment in existing computer rooms, or other raised access floor environments, to enhance and support both the static and dynamic weight loads of equipment during seismic activity. 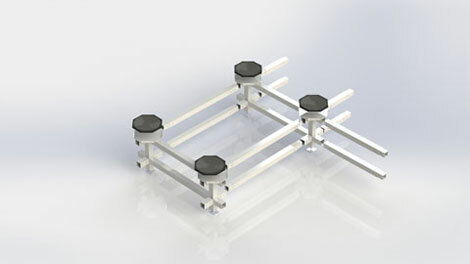 ISO-Stands allow seismic isolation platforms such as ISO-Base™, OCTO-Base™, or AISLE-Base™ to be integrated and mounted to the top of the support frame design. 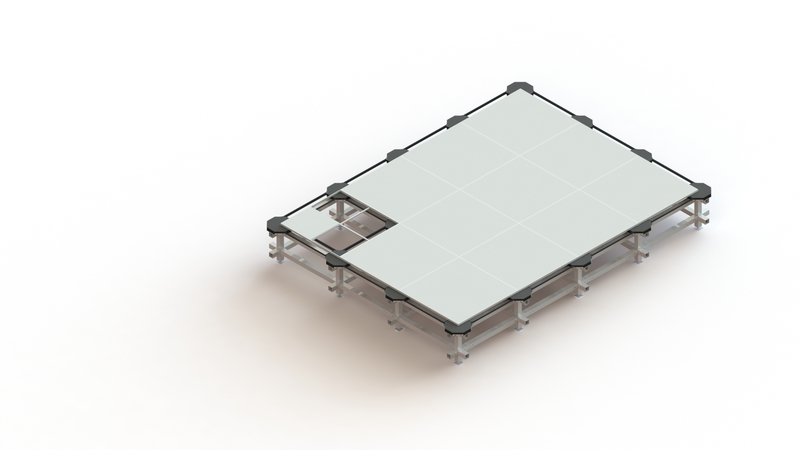 The lower portion of the isolation platforms can be lowered and inset to match the height of the raised access floor, thereby reducing the overall platform height. ISO-Stand Seismic Support frames are height adjustable and can be enhanced with seismic floor mounts to further reduce vertical shocks and micro-vibrations. 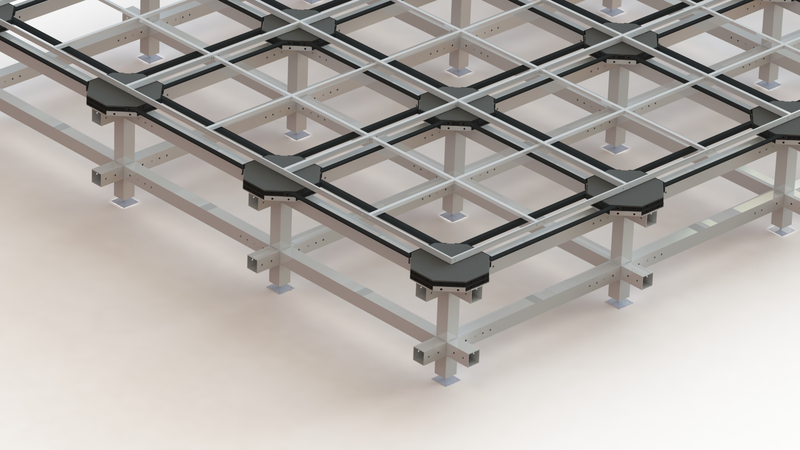 ISO-Stand™ Seismic Flooring, is an innovative, interlocking modular system, providing the ultimate in seismic protection of data centers and computer rooms with high concentrations of heavy critical equipment. Most existing seismic rated flooring systems are not designed for the higher and more concentrated weight loads created by the prevalence of hot and cold aisle containment systems in use today. The ISO-Stand Seismic Flooring System allows for a precise layout design to enable the seismic protection of equipment to be exactly where it needs to be. Server racks, and critical IT equipment is easily mounted to the top of preset seismic isolation platforms, that are just 2” higher than the floor itself. This design improves the static and dynamic loading to meet code requirements. The entire system is modular and allows for easy change-out, re-use, and re-design as equipment is moved, replaced, or the rooms needs change. No other flooring system has this inherent capability that is an important, cost saving, design feature. Layout design can easily accommodate building columns, chiller pipes, etc.